I took this photo of a shrine maiden on duty in Shibuya’s grand shrine, the Konouhachimangu (金王八幡宮) at the annual festival last year. 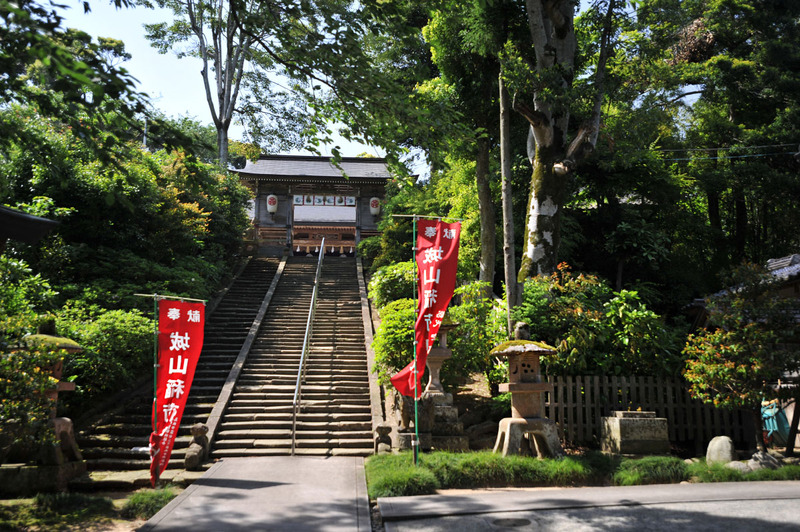 Some of these shrine maidens, or mike (巫女) are full time employees of the shrine but the vast majority are temporarily employed part time workers. 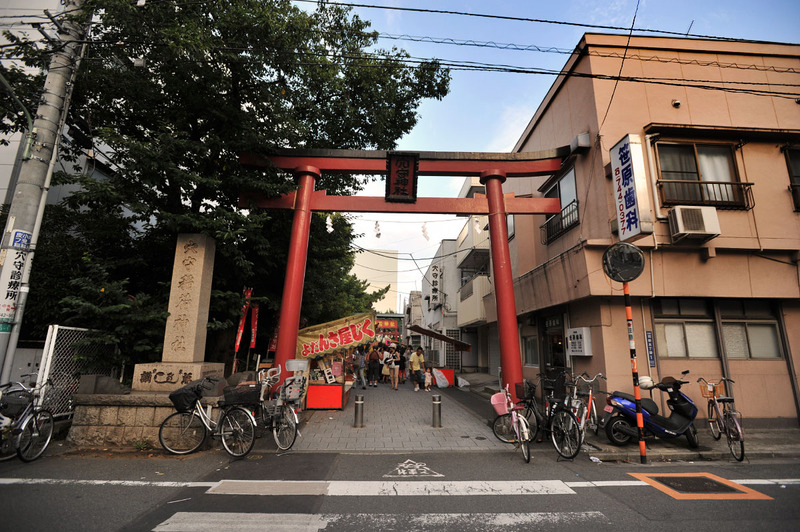 Most of them are high school students or university students doing it for the experience and for pocket money. 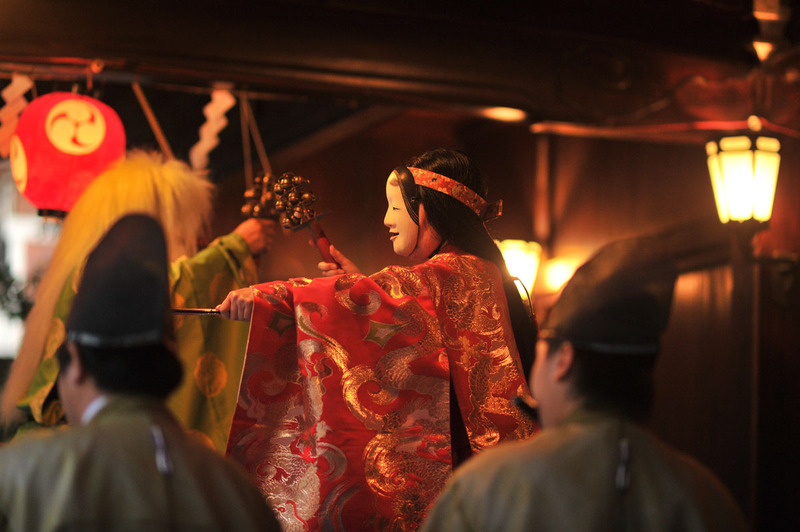 Although most people are impressed by young women with miko work experience there are also other bonuses, such as learning about customer service and Japanese culture and traditions. 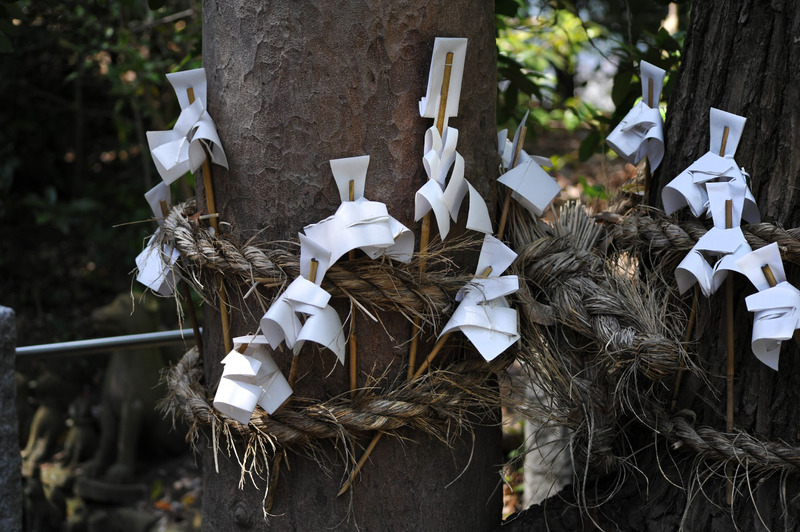 I have also heard ex-miko who mention that their math skills improved as they learned to calculate quickly in the heads when working over the main holidays selling votive plates, charmes, etc. I also think it is impossible to find any service job in the world where the staff are treated with more respect than this! On the negative side, in the winters the thin uniform and the hours spent outside can make it an almost unbearable experience for many. 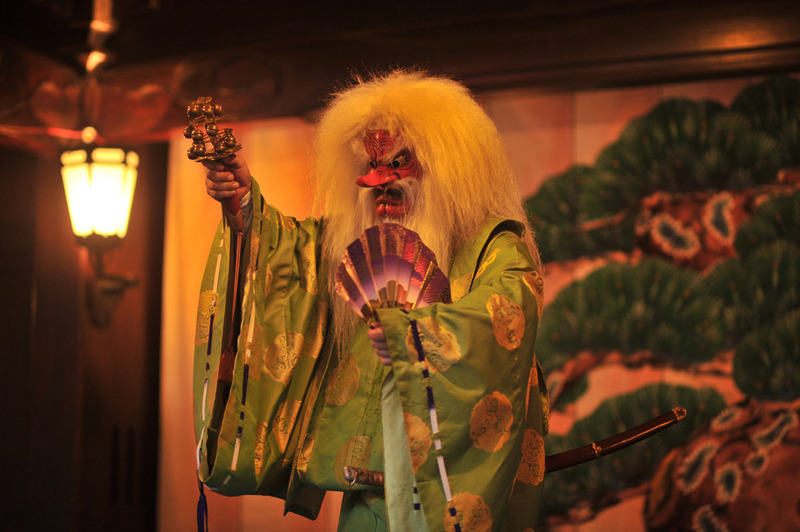 Some miko are also quite tired of the often very repetitive work as well as tired of constantly being photographed. This last complaint hits hard with myself, especially! 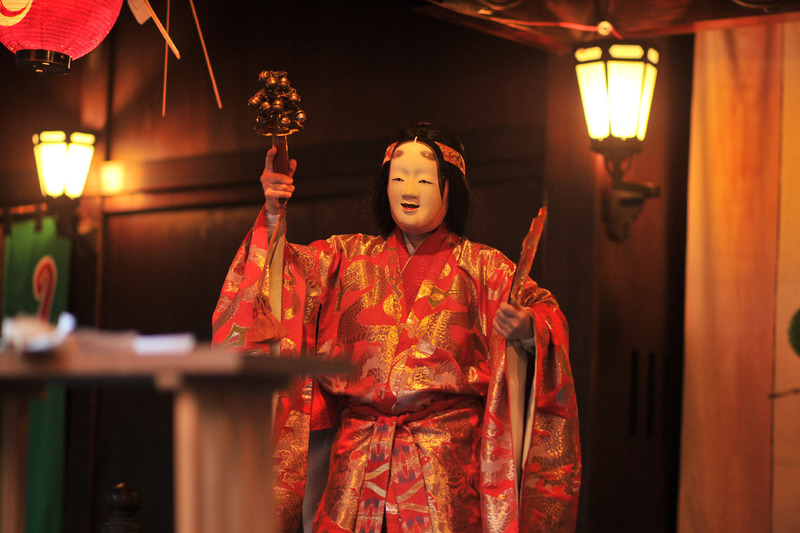 For their stoic service and hard work in the cold of winter or heat of summer a typical part-time miko can expect to earn between 8000 and 12 000 yen per day, depending on age, experience and length of work. This is a typical part time salary here in Tokyo and higher than many full time positions out in the prefectures. Good work, if you are unmarried and reasonably stoic! 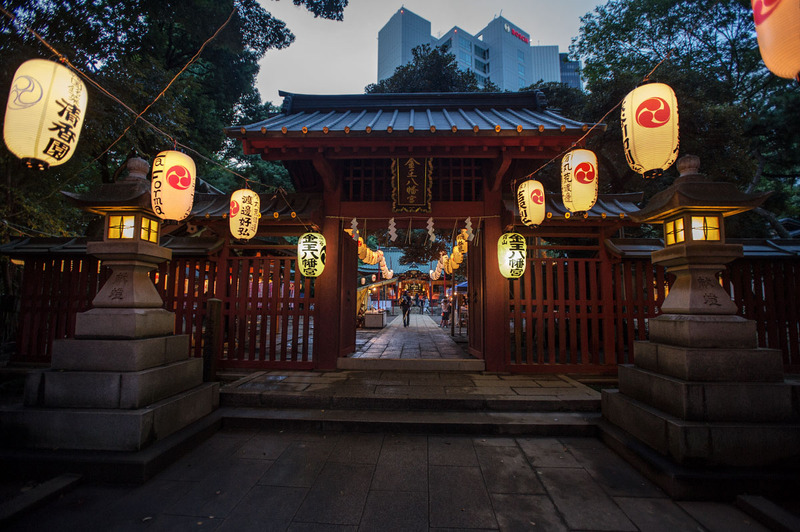 A couple of months ago during the three day festival in Shibuya I went to pay my respects at the Konouhachimanu grand shrine, the official protector shrine of Shibuya and Aoyama. 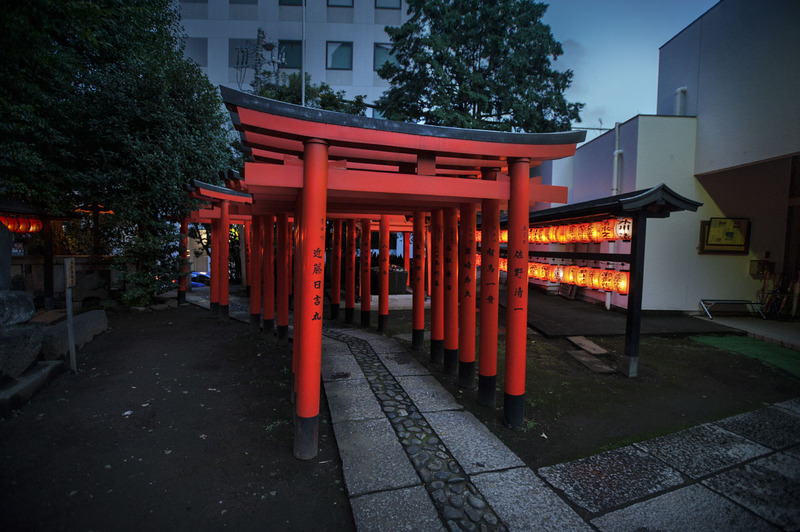 The weather had been bad all day and it had just stopped raining so there were very few people at the actual shrine. 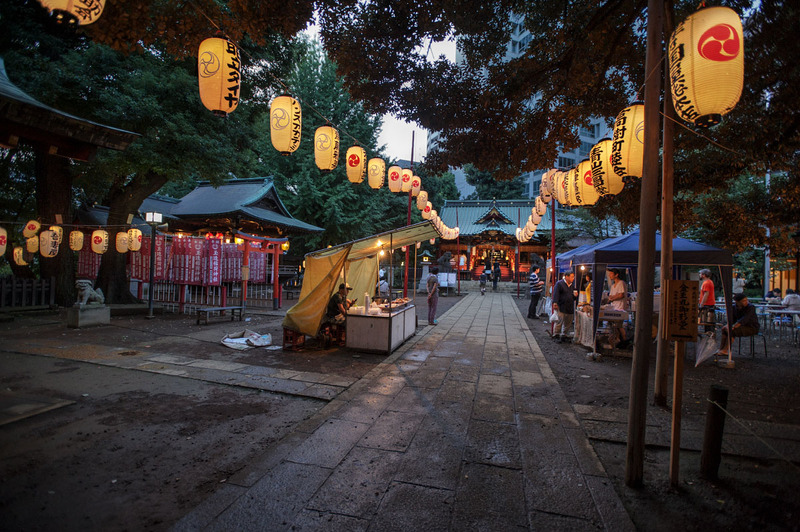 The most of the festival takes place in the middle of the commercial areas of Shibuya and since the shrine lies almost hidden between tall buildings and offices not many people actually know that it is there. 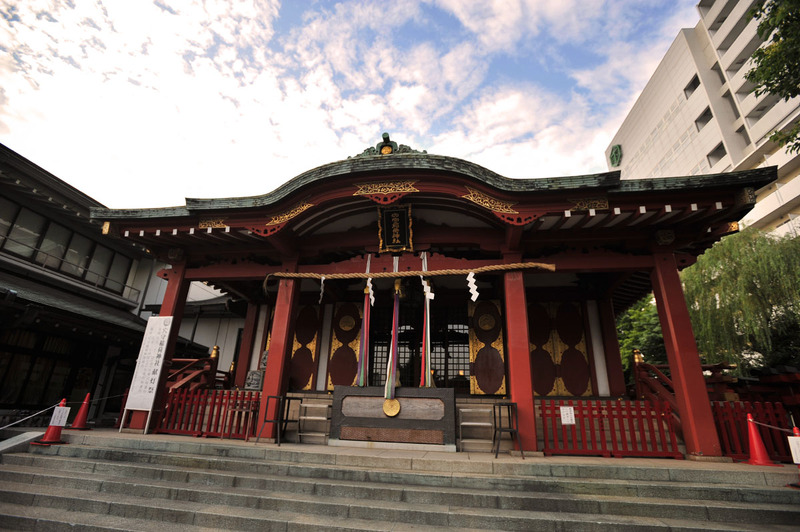 Founded in 1092, it is one of Tokyo’s older and more important shrines. Despite being so old the shrine’s present priest is quite young and modern minded, so during the festival there are rock bands, jazz bands and even karaoke concerts taking place at the shrine’s main stage, I arrived just in time to see one of the classic old kagura plays being performed, one that I have seen many times before. 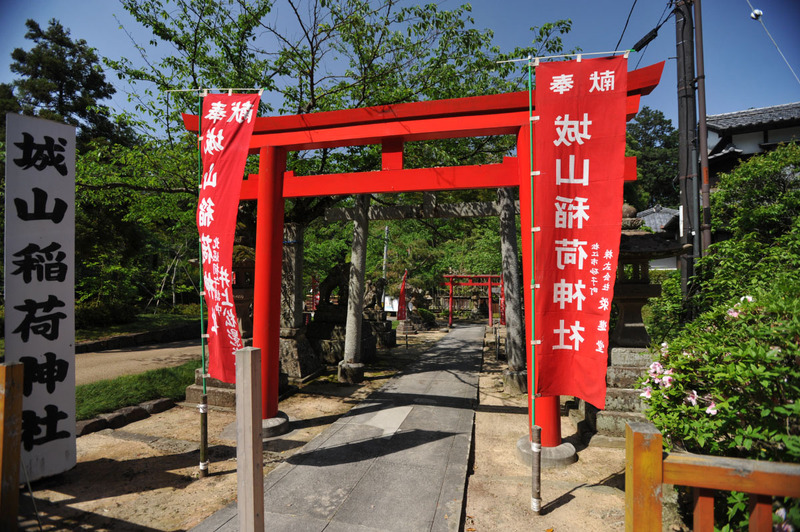 Inside the grand shrine grounds there is also a smaller Tamatsukuri Inari shrine (玉造稲荷神社), and besides the shrine there is a Toyosaka Inari shrine (豊栄稲荷神社), both devoted to the God of rice and fertility, with a row of ten torii, red shrine gates leading up to the altar. The best little piece of trivia though, is that this is also the location of what was once one of the biggest castles in what is now Tokyo! 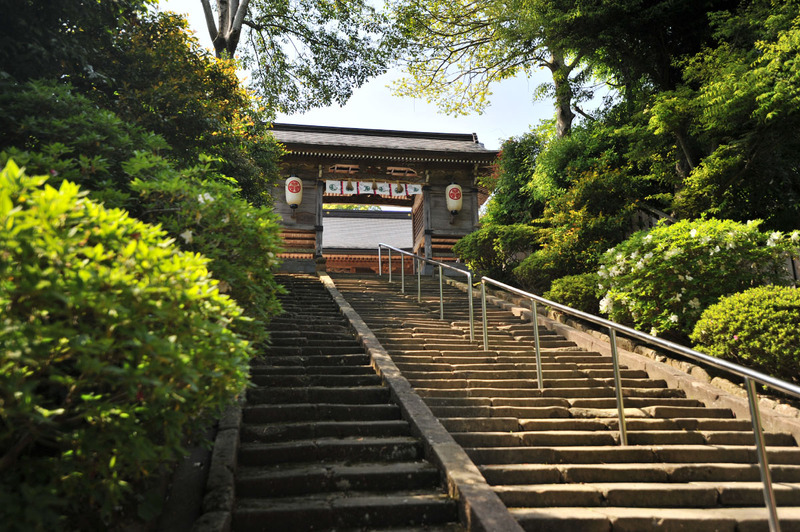 Not many people know that Shibuya had a castle roughly between the 12th and the early 16th centuries, and although the now hidden Shibuya river is slightly more famous, even fewer are aware that it once served as a defensive moat to this hilltop castle. 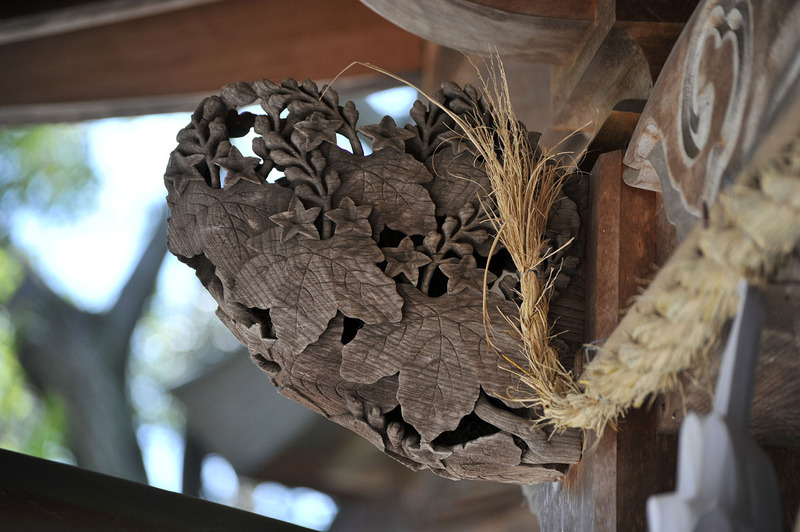 The only remaining piece of this castle is a small stone from one of the walls, tucked away in the shrine grounds. 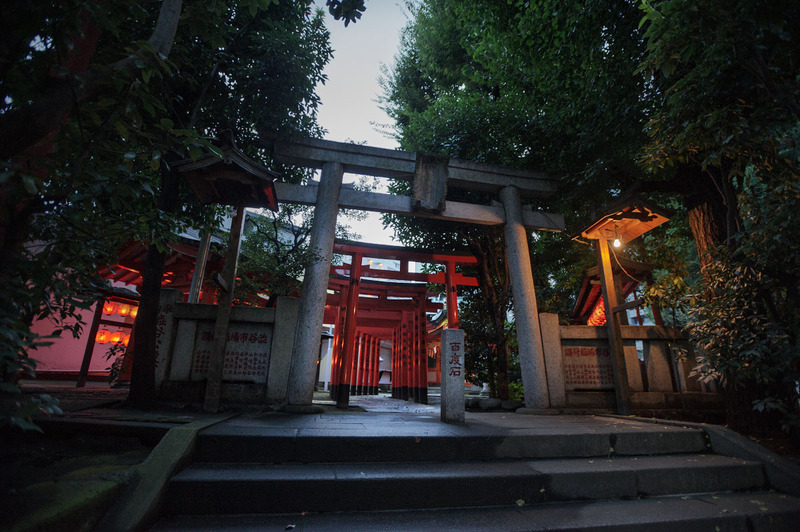 I have been to this shrine many times but never actually noticed the stone. Next time I go I will try to get a photo of it! 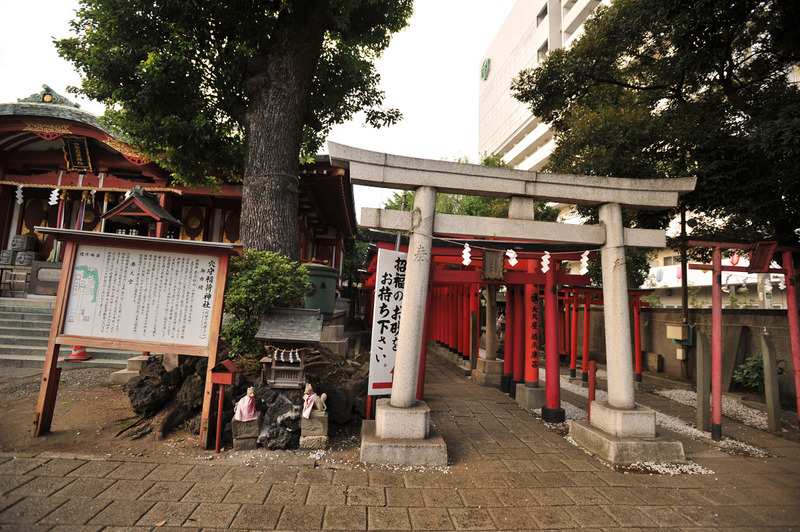 One of the three shrines in Tokyo’s Haneda district is the Anamori Inari Shrine (穴守稲荷神社), near the station of the same name on the Keikyu Airport Line. 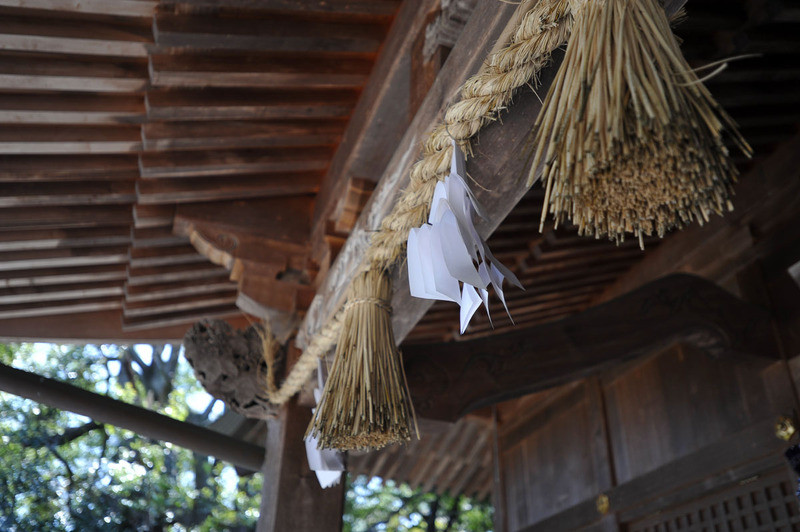 Together they make up the Haneda Shrine itself. 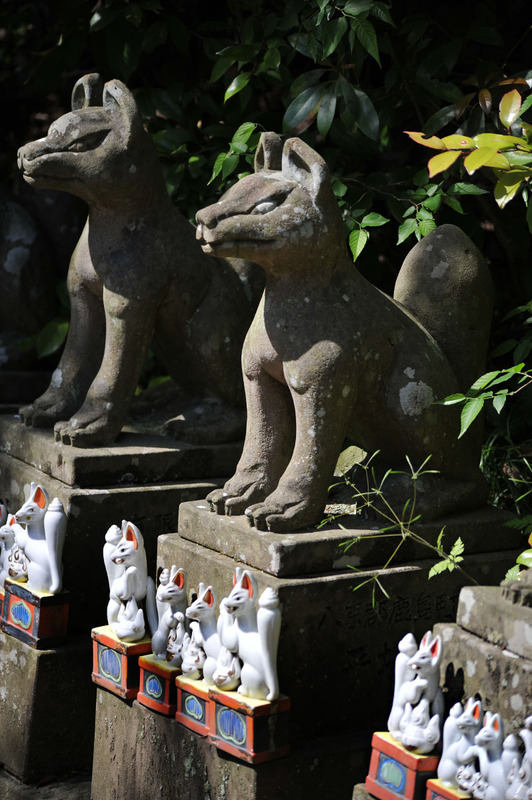 Being an inari shrine means that it is a shrine devoted to the Inari God, always shown in the form of a fox, responsible for protecting farming, fertility and rice. Usually the foxes comes in pairs, one male and one female. 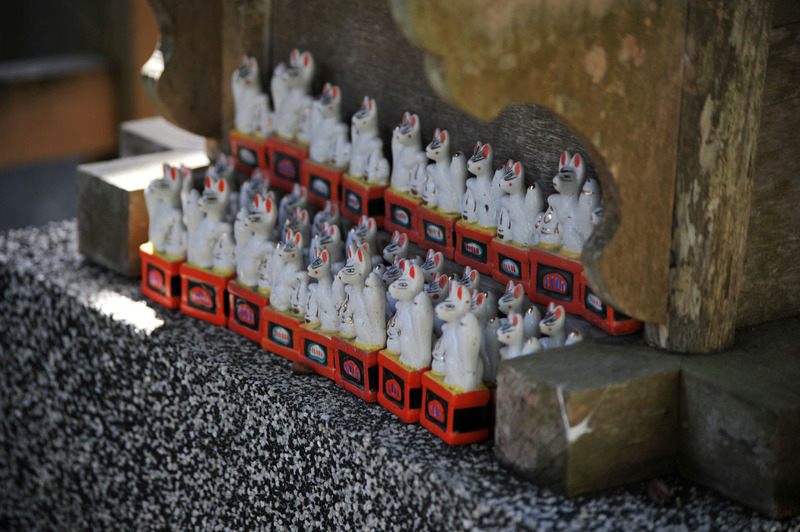 There are quite a few legends attached to the shrine and it is popular with pregnant women and parents. 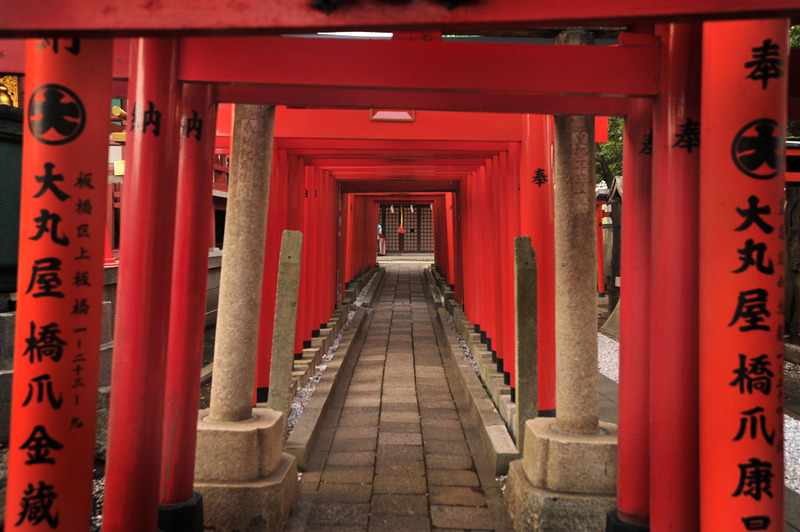 Of over 80 000 shrines in Japan about 32 000 are Inari Shrines. 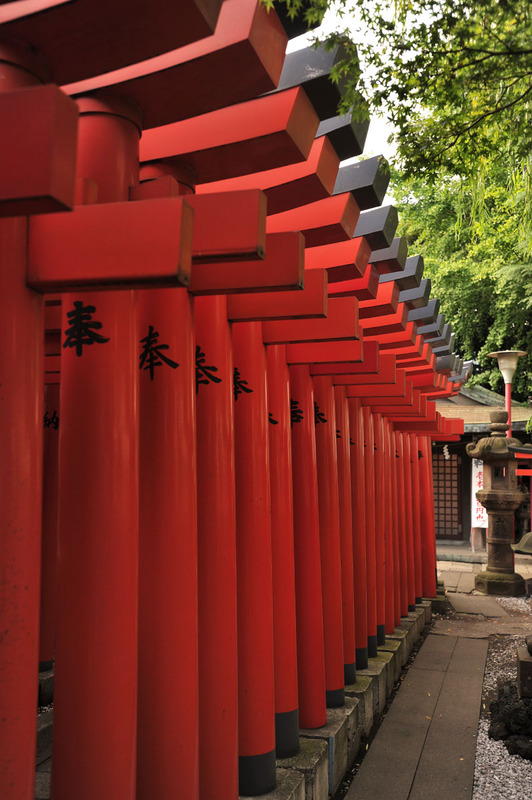 Although not the most powerful, Inari is certainly the most popular with ordinary people! 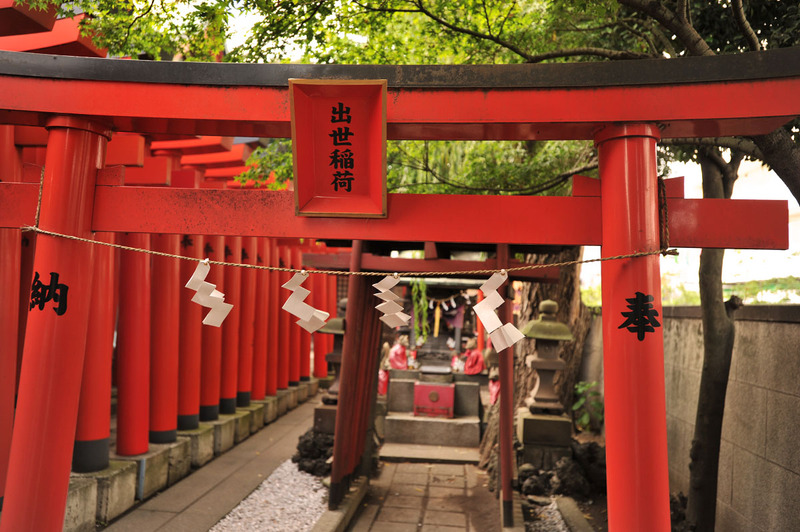 In the old days some of these shrines kept live fox but this is very unusual these days, only once have I seen a real fox underneath a torii gate, in 2009 up in Miyagi prefecture! 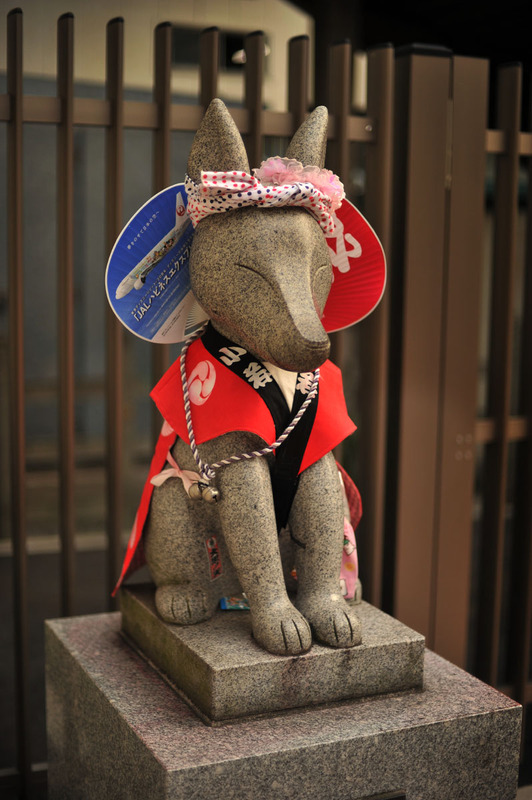 The best fox though, is Konchan, the fox just outside the Anamori Inari Jinja Station, dressed up in the festival garb of the Haneda festival and sponsored by the airlines of Japan. 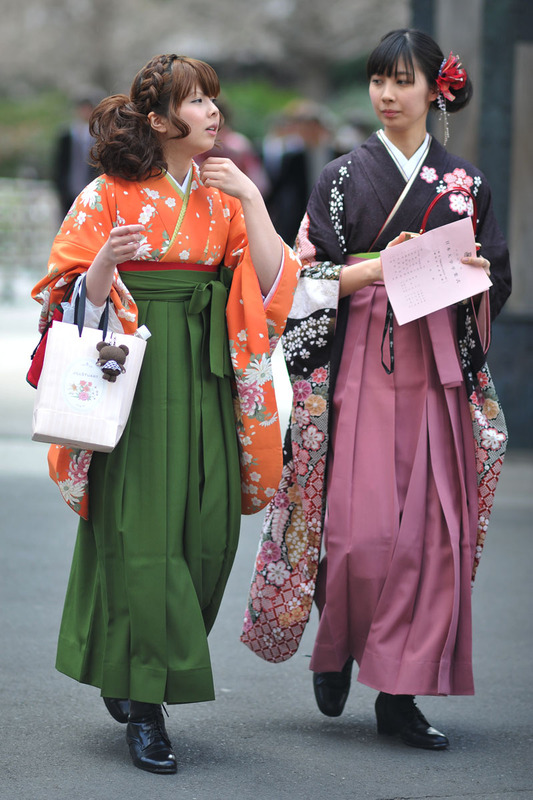 Konchan wears different clothes on different days and the people of the city takes turn dressing her up in seasonal clothes. When I visited there was a sign that they were looking for volunteers to make a new set clothes for her. I wonder if I should step up? 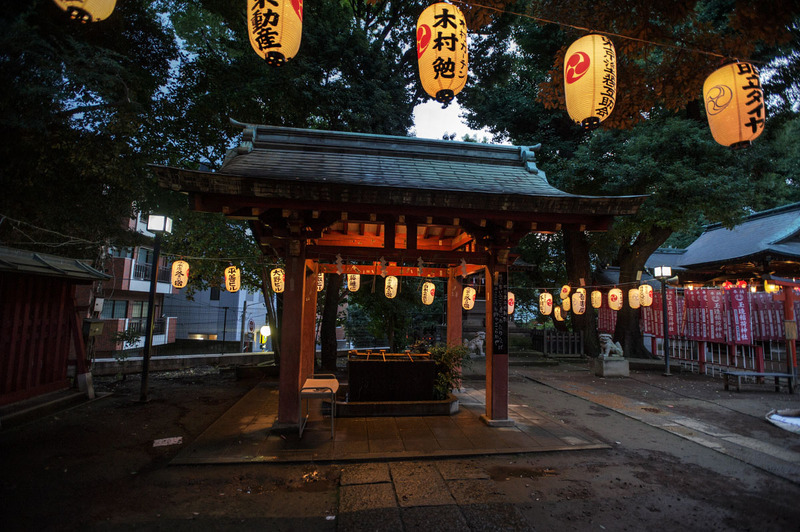 Any foreigner who has spent any time in Japan, and almost all of Japanese school children know of the strange foreigner Lafcadio Hearn (his Japanese name was Koizumi Yakumo, or 小泉八雲), an exceptionally cosmopolitan Irish-Greek intellectual who came to Japan in 1890 as a journalist but quickly had to change career to that of an English language teacher, a fate no doubt shared by many eager young westerners in the present times. 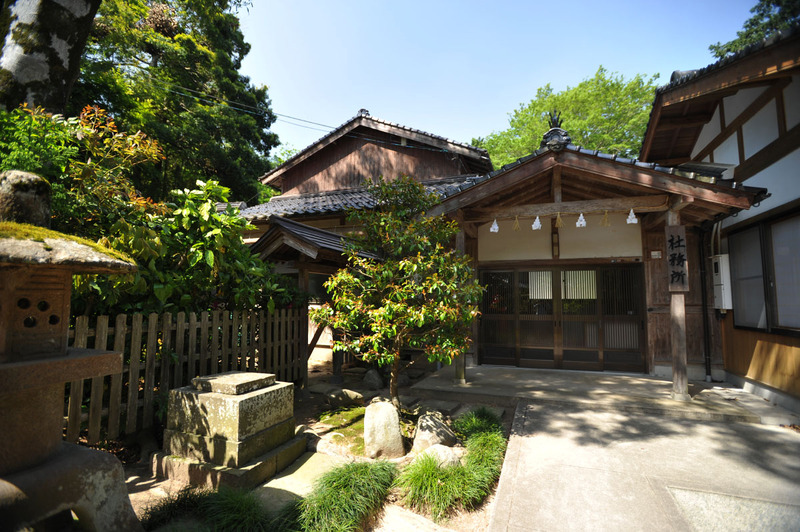 His first teaching post in Japan was at a school in Shimane, capital of Shimane Prefecture, which later featured in his famous writings about Japan. 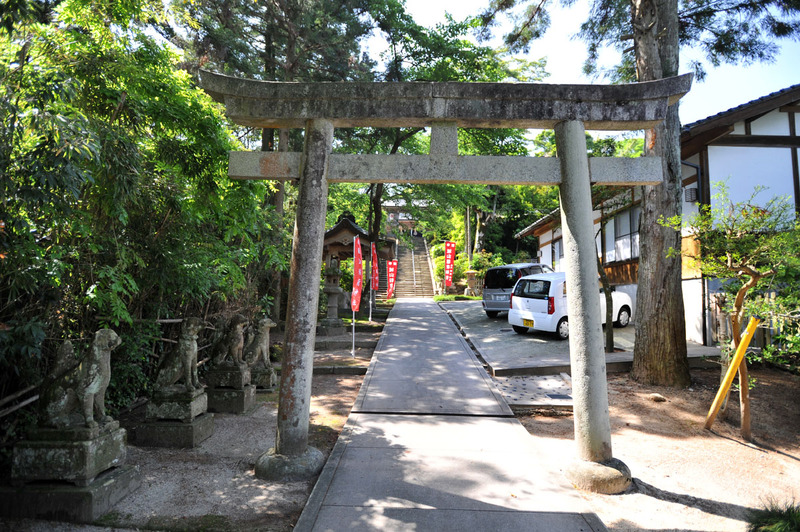 Also featured in his writings was this little shrine, the Jozaninarijinja (城山稲荷神社), an Inari shinto shrine at the top of the castle mountain in central Shimane. 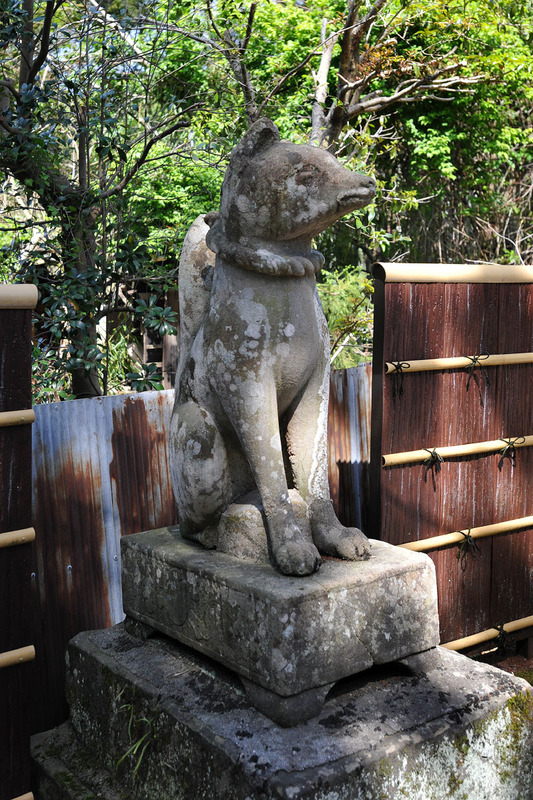 On his way to school he would often stop and look at the large stone statues of foxed outside the shrine. 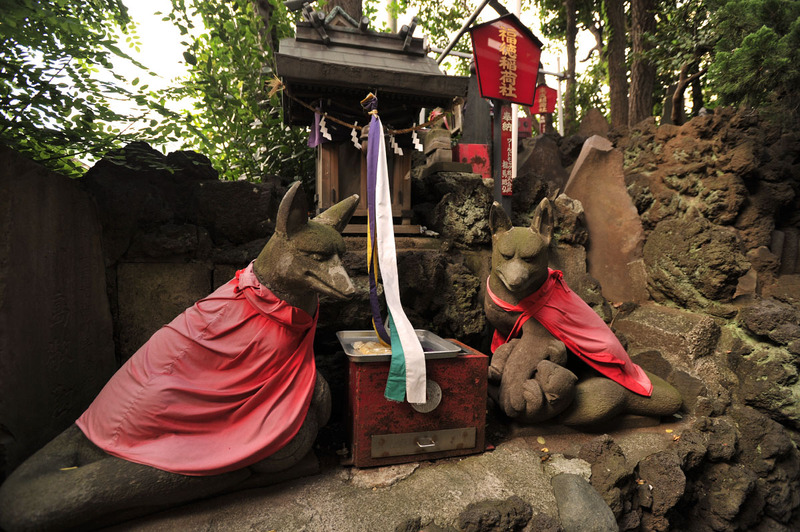 Hence, it is in my opinion that Lafcadio Hearn generally, and this shrine in particular, could be considered the guardian spirits, or saints, of English teachers in Japan, Japanophiles and even foreign manga lovers! 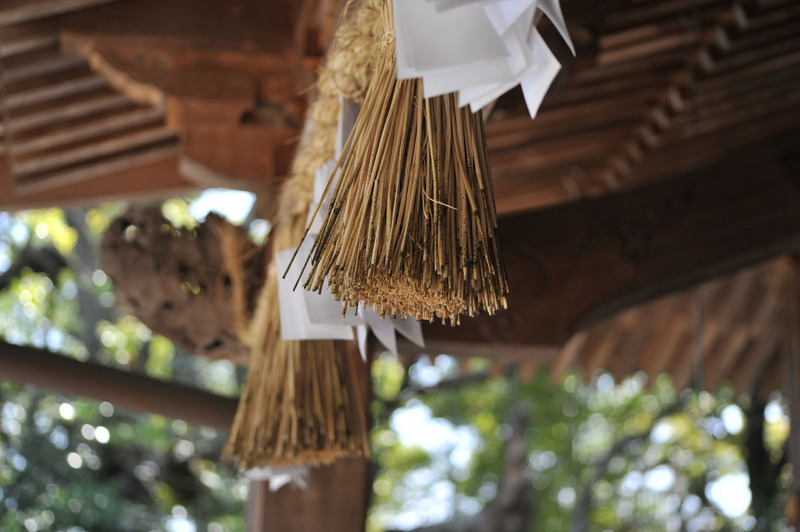 If you consider yourself having ever fitted into one of those categories, take a moment the next time you are in Shimane and throw a coin to the spirits of this shrine!